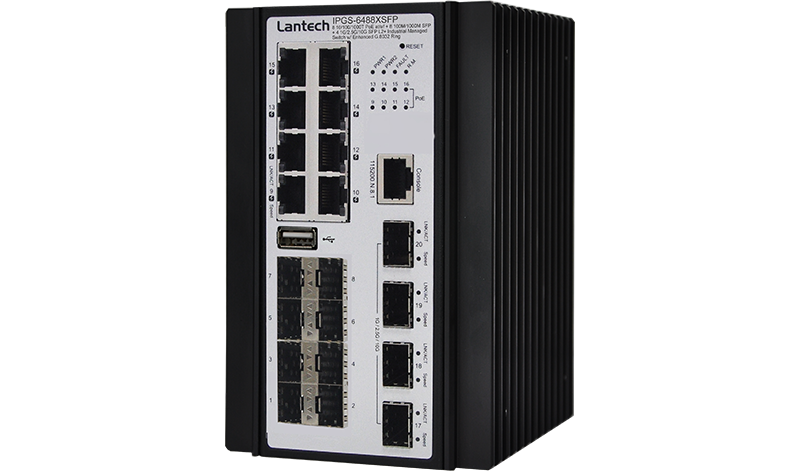 Lantech IPGS-6488XSFP features high reliability and robustness coping with extensive EMI/RFI phenomenon, environmental vibration and shocks usually found in factory, substation, steel automation, aviation, mining and process control. Featured with relay contact alarm function, the IPGS-6488XSFP is able to connect with alarm system in case of power failure or port disconnection. The IPGS-6488XSFP also provides ±2000V EFT/SURGE and ±4000 VDC (Contact) / ±8000 VDC (Air) Ethernet ESD protection, which can reduce unstable situation caused by power line and Ethernet.